With the summer sun high in the sky, it’s time to take that much-deserved break and head to cooler weather. Being in India, there are a few options that you can explore. If you are already done with Ladakh and Kashmir during your previous trips, you may feel that you have run out options. Well, not really. There is always something more to a place than meets the eye. Himachal Pradesh, we can testify to this, is one such place. Though there are many points of interests and touristy places that you can visit, you should also check out some of the hill stations in Himachal that lay within the folds of the mountain ranges. Now that we have planted the seed of a ‘cool vacation’ in your head, check out these hill stations in Himachal to beat the heat! 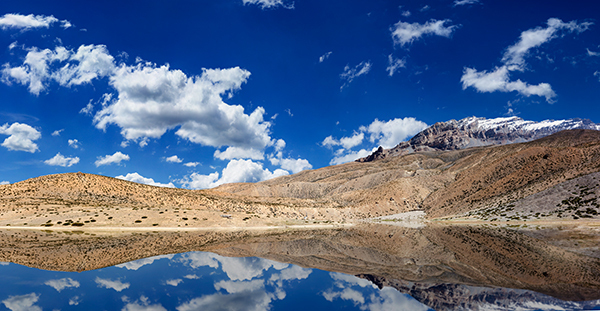 As its name translates to ‘The Middle Land’, Spiti is literally located between India and Tibet. Home to some of the oldest monasteries, Spiti is every photographer’s dream destination. Picturesque villages, crystal clear water bodies and the mighty Himalayas provide the perfect backdrop for an offbeat holiday destination. You can trek to the nearby mountains, visit the century old monasteries and make a stop at the Pin Valley National park which is home to endangered species like the snow leopard. Distance from Nearest Airport: The Kullu Manali airport is the closest to Spiti Valley. It is situated roughly 247-248 km away from Spiti and will take you 5-6 hours approximately to reach there. Best time to visit: May to October is the best time to visit Spiti. The remnants of the British Empire is one of the major attractions of Dalhousie. Victorian era houses, breathtaking scenery, natural springs attract a vast number of people to Dalhousie. There are some amazing trekking trails if you wish for some adventure, while you are in Dalhousie. Distance from Nearest Airport: The Pathankot Airport is the closest to Dalhousie. It is situated roughly 85-86 km away from Dalhousie and will take you 2-3 hours approximately to reach there. Looking for a good getaway place away from the hustle – bustle of the city? This cantonment hill station in Himachal is near Shimla, Kasauli will give you the break that you need from the city life. Kasauli is surrounded by apple orchards, lush green valleys, and architecture that are remnants of the days gone by. It creates the perfect atmosphere to just let go and relax. Head toward the ‘Monkey Point’ or take a stroll around the lush valley or just hang out at Mall Road and enjoy some delicious momos. Distance from Nearest Airport: The Chandigarh Airport is the closest to Kasauli. 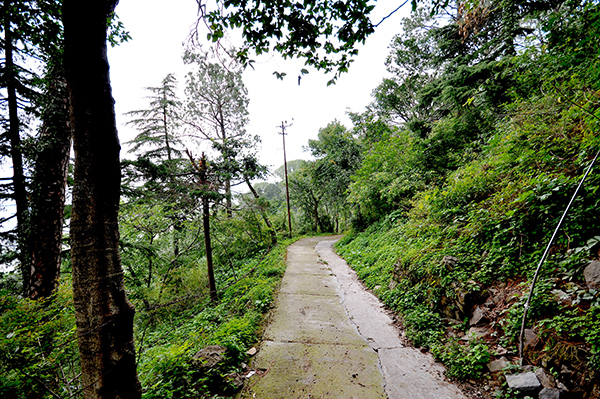 It is situated 69-70 km away from Kasauli and will take you 1-2 hours approximately to reach there. There is something very peculiarly serene about Dharamsala. Surrounded the mighty Himalaya and cedar forests, Dharamsala is one place that you should visit if you find yourself in Himachal Pradesh. This hamlet is every trekker’s paradise; you can choose your level of difficulty and explore the wilderness of Dharamsala. Distance from Nearest Airport: The Gaggal Airport is the closest to Dharamshala. It is situated 14-15 km away from Dharamshala and will take you 30-40 minutes approximately to reach there. 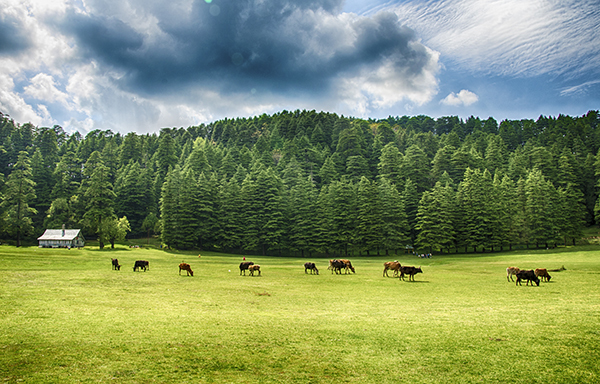 Just 20 km off Shimla lies Kufri, one of the most quaint and charming hill stations in Himachal. The pleasant climate and the beauty of this place make it an apt spot for a break, especially during summer. Kufri has one of the oldest skiing slopes in Himachal and is the venue for the annual winter sports festival that takes place in February. You can partake in any of the adrenaline pumping activities like tobogganing or go-karting. If the activity is not what you are looking for then, head to the Kufri Zoo or the amusement park for some fun. Distance from Nearest Airport: The Jubbarhatti Airport is the closest to Kufri. It is situated roughly 34-35 km away from Kufri and will take you 1-2 hours approximately to reach there. 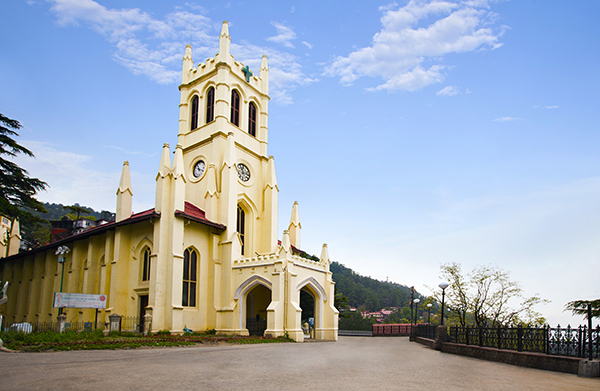 Covering an area of 72 acres, Chail was once the summer capital of the princely state of Patiala. It is surrounded by pine and deodar trees, overlooking the Sutlej valley with a backdrop of the snow-tipped peaks. Trekking trails lead to the mighty mountains and a tranquillity that you wouldn’t get in the overcrowded cities. Explore the Chail wildlife sanctuary or climb up the hill and visit the Kali ka Tibba temple. Distance from Nearest Airport: The Jubbarhatti Airport is the closest to Chail. It is situated roughly 61-62 km away from Chail and will take you 1-2 hours approximately to reach there. No matter how many hill stations in Himachal you visit, a trip to the ‘Valley of Gods’ is a must. On the banks of River Beas and at an altitude of 1230 meters, Kullu should be the destination of your choice if you are looking for a romantic honeymoon or an adrenaline pumping trip. You can paraglide, take up white water rafting or ski on the snowy slopes of the mountains. You also have the option for exploring the Himalayan National Park to spot some wildlife. Want to feel some spirituality, well; you can head to the many spiritual spots like Kheerganga Hot springs, BijliMahadev Temple, Raghunath Temple that is located here. Distance from Nearest Airport: The Kullu Manali Airport is the closest to Kullu. It is situated roughly 10-11 km away from Kullu and will take you 25-30 minutes approximately to reach there. If Shimla isn’t mentioned in the list of hill stations in Himachal, then there is something seriously amiss. 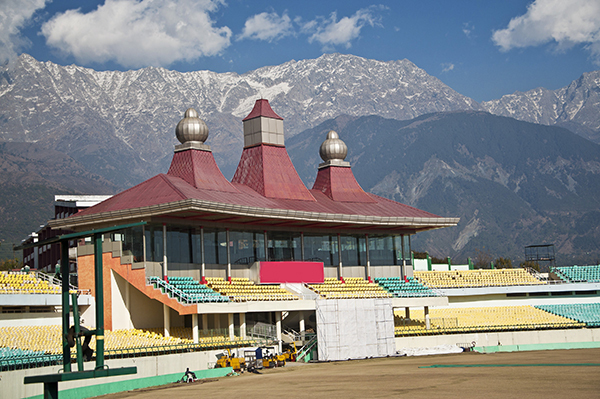 The summer capital of the British is one of the favourite hill station spots of Himachal. The abundance of beauty here will leave you awe-struck. The surrounding hills and peaks are perfect for trekking, the rivers for fishing and water activities and a walk up to Chandwick Falls are what makes Shimla a favourite. If you are in Himachal and the Queen of the Hill beckons, you must make a stop! Distance from Nearest Airport: The Chandigarh International Airport in Chandigarh is the closest to Shimla. It is situated roughly 124-125 km away from Shimla and will take you 3-4 hours approximately to reach there. Not much into sports or treks and want a quiet time? Solan is the destination for you. This antiquated and attractive hill station in Himachal lies between the peaks of Matiul Peak and Karol peak. Just a fact, Solan is also known as ‘The City of Red Gold’ and ‘Mushroom Capital of India’ because of its large scale growth of Tomatoes and Mushroom respectively. This pretty hill station has streams and rivers that give you the perfect ambience for a quiet day if you do not wish to trek the high mountains. You can also stop by the Mohan Meakin’s Brewery which is Asia’s first brewery and was set up in 1855. Distance from Nearest Airport: The Chandigarh International Airport in Chandigarh is the closest to Solan. It is situated roughly 78-79 km away from Solan and will take you 2-3 hours approximately to reach there. Best time to visit: February to May and August to November are the best time to visit Solan. Rivers, mountains, vineyards, greenery, and tranquillity… things that you will be greeted with while you take a break at Kinnaur. 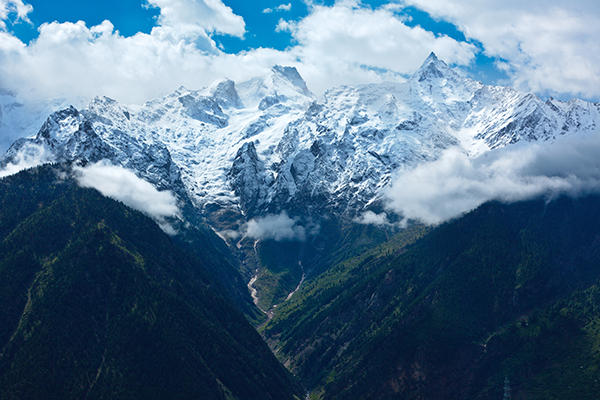 The valleys of Kinnaur is a great spot if you wish to soar among the clouds. You can also trek to Parikarma on the Kinnaur Kailash, which is said to be the home of Lord Shiva. There are also many temples and gompa you can explore. For a bit of insight into the wildlife of this area, make a day trip to RakchamChitkul Wildlife Sanctuary. Kinnaur Rivers, mountains, vineyards, greenery, and tranquillity… things that you will be greeted with while you take a break at Kinnaur. The valleys of Kinnaur is a great spot if you wish to soar among the clouds. You can also trek to Parikarma on the Kinnaur Kailash, which is said to be the home of Lord Shiva. There are also many temples and gompa you can explore. For a bit of insight into the wildlife of this area, make a day trip to RakchamChitkul Wildlife Sanctuary. Distance from Nearest Airport: The Jubbarhatti Airport in Shimla is the closest to Kinnaur. It is situated roughly 277-279 km away from Kinnaur and will take you 8-9 hours approximately to reach there. 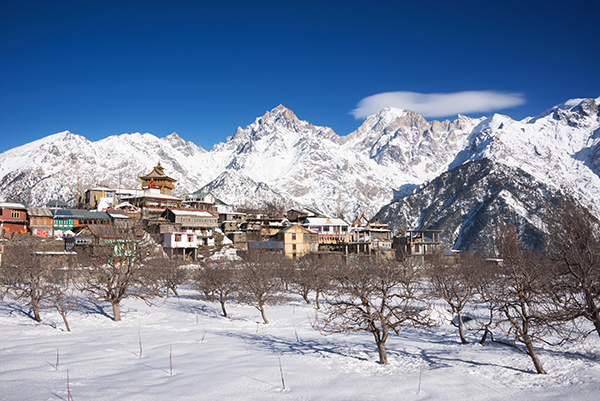 Best time to visit: April to October is the best time to visit Kinnaur. 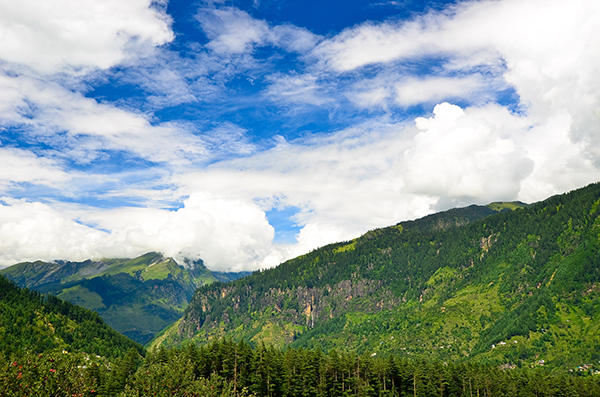 So, pack your hiking boots jackets and scarves, the hill stations in Himachal Pradesh are alive and waiting for you! Check out the best Himachal holiday packages of Thomas Cook. Though there are many points of interests and touristy places that you can visit, you should also check out some of the hill stations in Himachal. Amazing pictures, all together it’s a great article. Great list! Loved reading this post. Good coverage of Himachal, enjoyed reading this post. Great source of information. Thanks for this post. Good guide for planning a trip to Himachal. Thanks for the post. Loved reading the article! Good post.